Both Joomla! and WordPress are powerful Content Management Systems (CMSs) that enable you to create almost any type of website you can imagine. The real question is: What makes them different from each other, and why should you choose one over the other? While either platform is a smart choice in most cases, they’re also somewhat different when it comes to functionality and features. The only way to know for certain which CMSs is a better fit for you is to learn about how they work and what they can offer you. Changing your CMS down the line is a lot of work, so you want to get it right the first time. In this article, we’re going to talk about what CMSs are and why you should consider using one. Then we’ll compare Joomla! vs WordPress in terms of features, ease of use, costs, and more. Let’s get to work! CMSs enable you to create powerful websites without having to build them from scratch. A CMS is any platform that provides you with the tools you need to create, manage, and publish specific types of content. If you run an online blog, for example, you’d want to use a CMS that provides you with formatting and revision tools, as well as the option to publish your posts. As you can imagine, no two CMSs are alike. The main difference often comes down to what type of content you want to focus on. Of course, these days most services provide you with the tools you need to share almost any kind of content. That means you can base your decision heavily on which solution you feel most comfortable with. It provides you with the tools you need to create better content. The primary purpose behind most CMSs is to enable you to publish high-quality content. It helps you keep your content organized. Most modern CMSs automatically sort your content for you, using features such as tags and categories. You can expand your CMS’s functionality. A quality CMS will enable you to customize your installations by adding extra features to them. Perhaps most importantly, CMSs enable regular people with little to no experience in web development to create fantastic websites. There’s still a learning curve to most of these platforms, but it’s much easier than learning how to code a site from scratch. In general terms, there are two groups of people that can benefit the most from using a CMS for their web projects. If you don’t have any development experience, CMSs can give you a leg up. On the other hand, even if you’re an experienced developer, it often doesn’t make sense to create a website by hand if there’s a platform that can help you speed the process along. Joomla! is second only to WordPress when it comes to CMS popularity, although that doesn’t mean it’s an inferior choice. In fact, we can say right off the bat that Joomla! enables you to do basically everything that WordPress does. Installing the platform is very straightforward, and most hosting providers will enable you to do so using a one-click install option. Once your Joomla! setup is ready, you’ll be greeted by a dashboard with a lot of options. If you’ve never used Joomla! before, the sheer amount of choices can be intimidating. However, in our experience, it’s never difficult to find what you’re looking for, even if you’re new to the system. As far as features go, Joomla! provides you with built-in content and user management systems. You also have access to a module feature, which you can use to extend your website’s functionality if you need to (we’ll talk more about that later). Thanks to the powerful built-in editor, creating content with Joomla! is relatively simple, as is keeping everything organized. When it comes to visual customization, Joomla! enables you to style your site manually or use templates to speed up the process. There’s no official template directory, unfortunately, so you’ll have to rely on your Google skills to find the right one for you. There are two specific areas where Joomla! shines above all other CMSs: when building multi-language websites and social networking platforms. Out of the box, this CMS packs a lot of options that can help you set up either type of site easily. Create and organize any kind of content you want, using robust visual and code editors. Administer your content and users with ease from your dashboard. Augment the functionality of your website with extensions. Customize the style of your site using templates. Use built-in Search Engine Optimization (SEO) features to improve your pages. When it comes to sheer number of users, WordPress is the king of CMSs. This platform currently powers almost 30% of existing websites, which is an impressive figure. What’s more, installing the platform manually is remarkably simple and – just like Joomla! – most web hosts these days offer dedicated, one-click setup options to save you time. 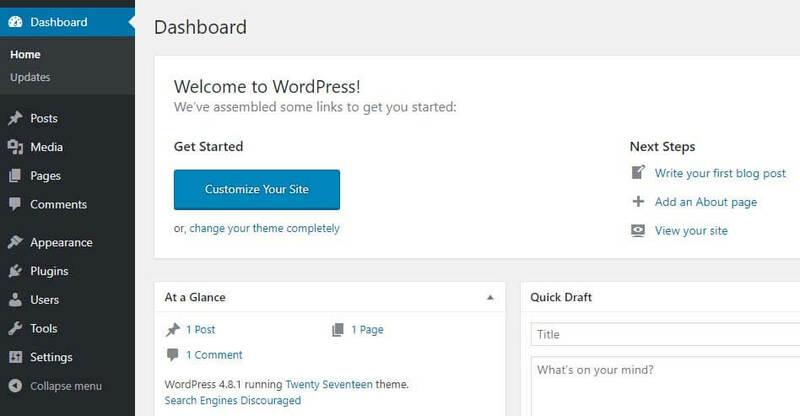 Once you’ve set up your WordPress website, you’ll spend most of your time running it from your dashboard. The platform offers a simple interface with clearly defined options to help you out. At first glance, you’ll notice you have fewer settings to deal with than for Joomla!. That’s good news if you’re looking to set up a simple website, but less appealing if you like being able to customize every aspect of your experience. 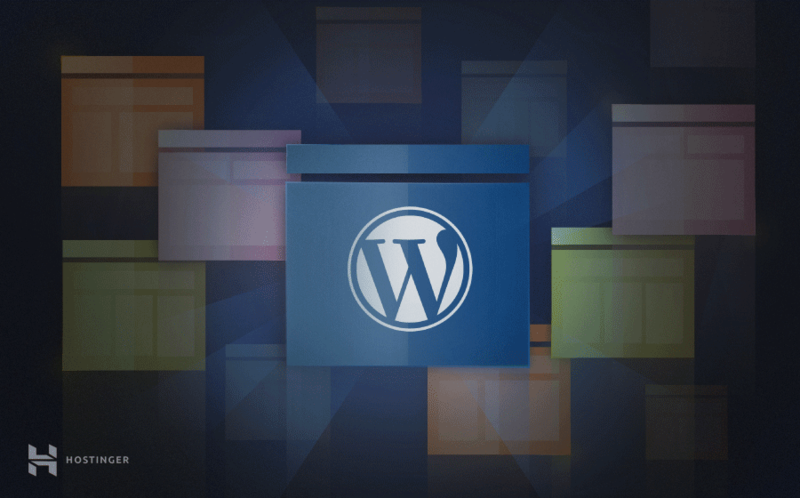 Out of the box, WordPress includes powerful content and media management features. You can set up tags and categories for your publications, and editing posts and pages is remarkably simple thanks to its visual editor. Just as with Joomla!, you also have access to a code editor. Both platforms’ editors are excellent out of the box, and you can extend their functionalities if you feel they’re limited. WordPress in particular excels when it comes to setting up simple websites. For example, this CMS can make short work of landing pages or small business sites. This is in part thanks to the massive amount of themes that are available for the platform – both free and premium. A lot of them even include their own drag-and-drop page builders, which makes the process even simpler. If you’re looking to set up a more complex website, WordPress’ features can be extended using plugins. The platform’s popularity means you have thousands of options available. Still, if you have experience with web development, chances are you’ll find Joomla! easier to customize. Create and manage multiple types of content using built-in visual and code editors. Access thousands of plugins and themes to extend and customize your site. Take advantage of the platform’s excellent blogging capabilities. Manage your website with an intuitive dashboard. Set up simple websites with ease. Right off the bat, it’s important to note that both Joomla! and WordPress are open-source platforms. That means they’re free to use, but you’ll still have to pay for hosting to get your website online. That means you don’t need a huge budget to get started with your website. However, you’ll probably want to upgrade your hosting plan at some point, which means you’ll have to pay more on a monthly basis. Those costs will vary depending on your hosting provider. It’s also important to understand that building and running Joomla! and WordPress sites is not always a cheap venture. The real costs start to become clear once you delve into the world of extensions and plugins. Depending on what features you want to add to your website, you may be able to find free extensions to do the job, but you might also find yourself in need of paid options. In our experience, a lot of premium extensions and plugins for both platforms start at around $20. However, prices can vary widely, and if you require several premium plugins, they can quickly add up. Overall, one CMS is not inherently more expensive than the other – your investment will depend largely on what hosting and add-ons you opt for. So far, we’ve talked a little about augmenting your CMS’s functionality. You can do so with Joomla! using extensions, whereas WordPress employs plugins. Despite the different names, both types of tools work in basically the same way. You find an add-on that include the functionality you want for your site, install it, and set it up. The installation process for these tools is fairly straightforward for both platforms. However, WordPress has an edge thanks to the sheer number of plugins it makes available. They can be counted in the tens of thousands, whereas Joomla! only offers a fraction of that number. As for what types of functionality you can add to your site, your imagination is the limit for both platforms. In WordPress, for example, you can use the WooCommerce plugin to add a robust e-commerce system on top of the core CMS in a matter of minutes. Joomla! offers its own comprehensive e-commerce solutions in the form of extensions. Eshop is a great option, which provides just about as many features as WooCommerce. Naturally, there are plenty of other types of functionality that you can add to either platform. However, e-commerce makes for a great example due to the sheer complexity of features it requires. Which CMS Is Best For You? We’ve covered a lot of information so far, so let’s take a minute to do a brief recap. In the category of ease of use, WordPress has the edge over Joomla!. The latter does offer more customization options out of the box, but this advantage also makes it a bit more complicated to get started with. When it comes to price, both platforms are on equal levels. Your main expenses will probably be hosting and plugins. The latter can make a dent in your wallet, but in many cases, you can find free options that add all the features you want. As for scalability, WordPress offers a much larger pool of plugins and themes, thanks to its popularity. In other words, it’s easier to extend WordPress’ functionality than Joomla!’s. That said, Joomla! is just as customizable if you have some experience with web development and coding. With all of this in mind, we’re confident recommending WordPress to users with little to no experience in web development. It’s also a fantastic option if you want to create small sites that don’t require too much extra functionality, thanks to its ease of use. Joomla! on the other hand, is a better fit for users with some level of web development experience. 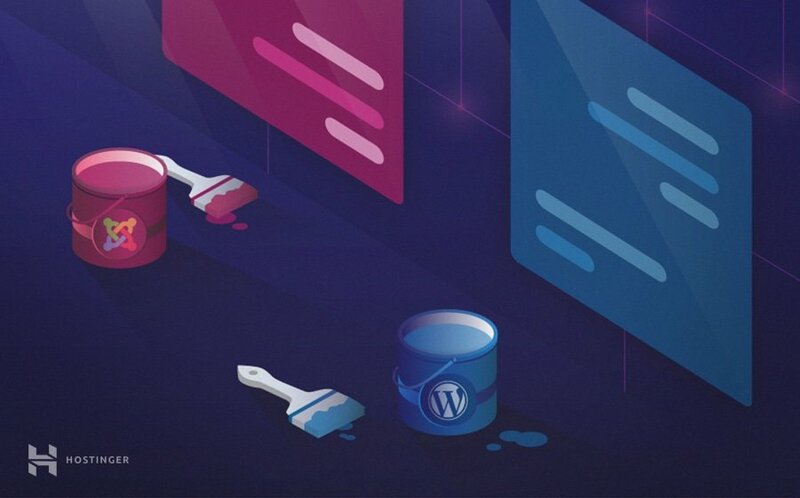 It offers a lot more features than WordPress out of the box, but that does mean it’s harder to learn unless you already have experience with similar platforms. It’s also worth noting that Joomla! excels when it comes to creating social platforms and multilingual websites, thanks to its built-in features, while WordPress is still far and away the best CMS for bloggers. Choosing which CMS to use for your next web project is an important decision. Your pick will have a huge impact on the way you manage your website, as well as what features are available to you. In this case, both options are top-notch, but you’ll want to get to know them before settling on one. Web development beginners will feel more at home using WordPress, thanks to its intuitive dashboard and theming system. However, that doesn’t mean Joomla! is an inferior choice. In fact, it offers more features than WordPress out of the box, but it’s a bit harder to get started with if you don’t have experience using CMSs. Fortunately, no matter which platform you choose, you’ll have plenty of options for extending its functionality. Do you have any questions about how to choose between Joomla! vs WordPress? Let’s talk about them in the comments section below!